Twitter reportedly ruled Wednesday afternoon that Louis Farrakhan’s video essentially comparing Jewish people to termites is not against its community standards. Farrakhan, the leader of the Nation of Islam, tweeted out a video of himself giving a speech on Sunday in Detroit to mark the 23rd anniversary of the Million Man March. 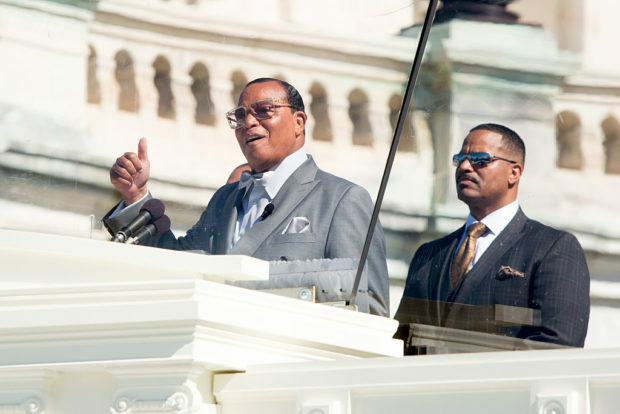 “So when they talk about Farrakhan, call me a hater, you know they do, call me an antisemite — stop it! I’m anti-termite! I don’t know nothing about hating somebody because of their religious preference,” he continued. Despite the new policy, Bernstein reported that this policy has not gone into effect, making Farrakhan’s video acceptable. Twitter did not respond to a request for comment in time of publication.